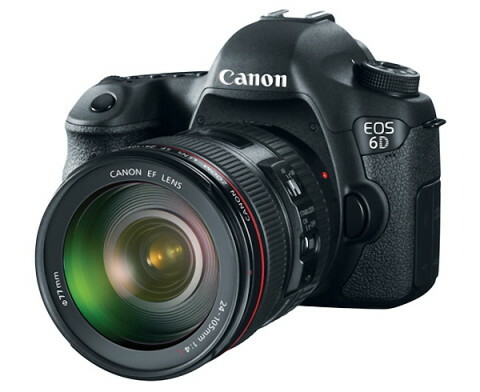 The Canon EOS 6D is a full frame DSLR camera that features a new 20.2 megapixel full-frame CMOS sensor. 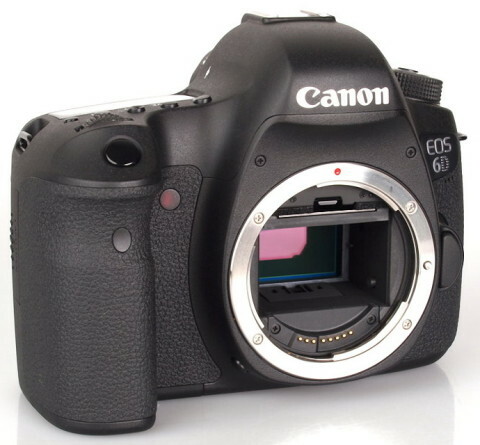 The EOS 6D is one of the smallest full-frame DSLRs available on the market, and also offers a built-in wireless transmitter, an integrated GPS, an 11-point autofocus system and an iFCL 63-zone dual layer metering sensor. The large 20.2 MP CMOS sensor offers a high level of image quality and delivers images with a maximum resolution of 5472 x 3648 pixels with a pixel size of 6.55 µm square. This sensor is paired with the powerful DIGIC 5+ image processor and 14-bit A/D conversion, and together with these is capable to produce a native sensitivity range of ISO 100 – 25600 which can be further expanded to ISO 102400. The 63-zone dual layer metering sensor works with the 11-point autofocus system and analyzes focus, color and luminance within the scene for the most precise exposure settings possible. The 63 zones cover the entire image area with great detail and the dual-layer design permits a wider sensitivity to different wave lengths of light. 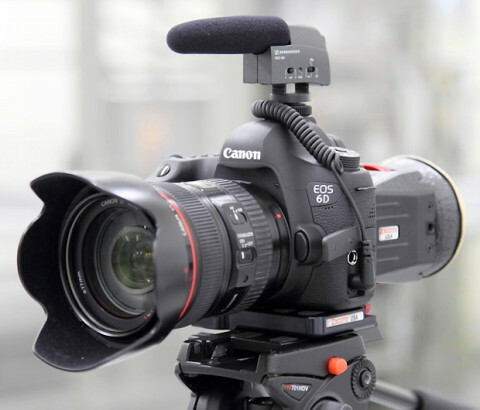 The Canon EOS 6D can record Full HD video in multiple formats, including 1080/30p, 25p; 720/60p, 50p. The video recording is possible in the all I-frame or IPB compression, as well as the H.264/MPEG-4 codec. Also present on this DSLR is 3.0″ Clear View TFT LCD with anti-reflection coating that provides high quality viewing with 1,040,00-dot resolution. A HDR mode is also available and allows for the creation of HDR images in-camera. Viewfinder: Eye-level SLR (with fixed pentaprism), 97% coverage. 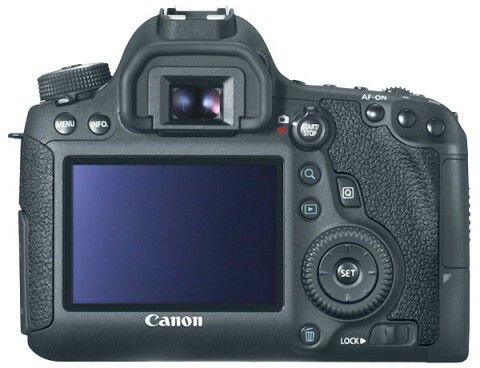 Focus acquisition on the EOS 6D displays all the hallmarks of mature phase detection AF performance. The camera is quick to lock focus and under most conditions does so with a high degree of accuracy. More details you can find on dpreview.com website. 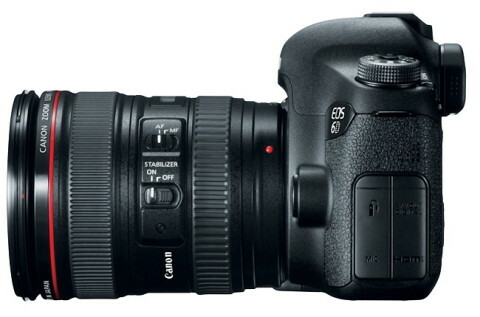 The Canon EOS 6D produces images of amasing quality, with noise-free JPEG images from ISO 50 all the way up to ISO 3200, with noise first appearing at ISO 6400. More such details you can read on Canon EOS 6D review by Photography Blog. 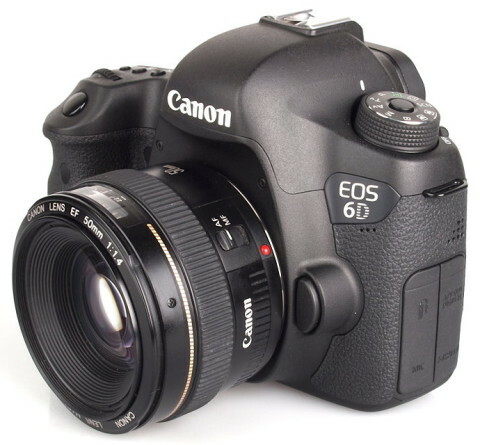 Also, you can find a lot of technical details of EOS 6D and sample images on photo.net website.